All the fighters slated to participate in tomorrow night’s “UFC 147: Silva vs. Franklin II” event tipped the scale Friday inside Mineirinho Arena in Belo Horizonte, Minas Gerais, Brazil. 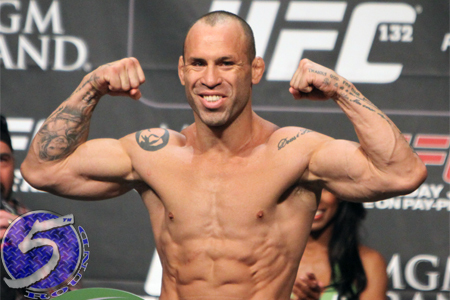 A 190-pound catchweight contest between Wanderlei Silva (Pictured) and Rich Franklin headlines Saturday’s fiesta. Franklin previously hung a close unanimous decision win over “The Axe Murderer” in June 2009 at UFC 99. Tomorrow’s pay-per-view broadcast airs live in North America at 10PM ET/7PM PT.